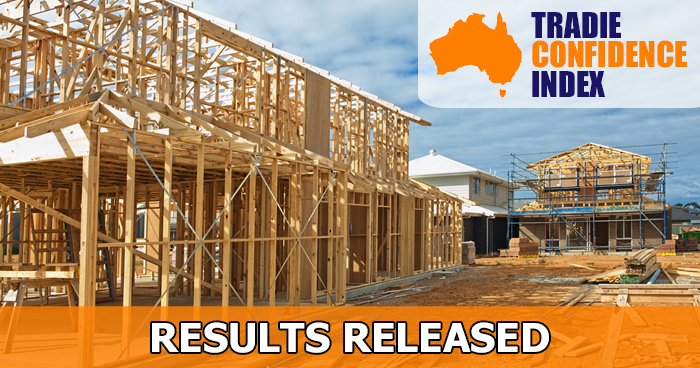 We are pleased to present the results from our latest Tradie Confidence Index (TCI) survey. The survey period covers the first quarter of 2019, being January to March. This is the first survey we’ve conducted since the same time last year. The results show that confidence has massively deteriorated in that time. Although overall confidence is low, it’s always the case that whilst some tradies are struggling for work, others are killing it and doing well. Results are down across the board for this question. Although Queensland appears to be the hardest hit, they did have an unusually high score last time, which makes the drop look larger than it probably is. NSW suffered the least positive score, with just 52% of tradies believing they had more work on now compared to the same time last year, which was a drop of 34% since the last survey. This question also saw a big drop in confidence, however it’s clear to see that tradies are more confident about how things will look next year compared with right now. 65% of tradies believe they’ll have more work on this time next year, with Queensland tradies being the most confident at 78%. Although question 2 showed that tradies were pretty confident about their own businesses over the next 12 months, they are not so confident when it comes to the overall industry. If question 3 showed that tradies aren’t so confident about the building industry, they are even less confidence about the overall economy. Over half of tradies are expecting bad times over the next five years, with Victorians being the least confident in this area. With a large portion of tradies not being confident about business conditions in the coming years, it’s no surprise that almost half believe it’s not a good time to invest in their business. The total number of responses was 98. This isn’t a huge number, but it’s still a decent sample size. We’ll be working hard to increase the numbers next quarter.